Journey this week was filled with lots of tinkering, designing, and redesigning as students prepared their machines for the final Journey Share on Thursday. Students showed perseverance and creativity as they challenged themselves to turn their paper plans into actual working machines. Problem solving, idea sharing, and teamwork propelled all students to have working machines by Journey Share day. Students reflected on their process and shared that they all experienced moments of frustration and success. All students were proud to share their final machines with their community. 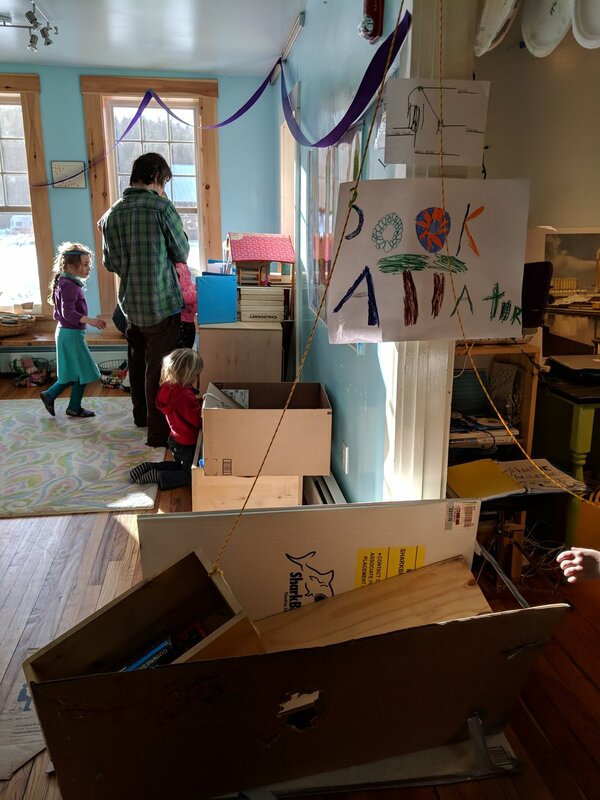 Thanks to everyone who was able to come and celebrate our Simple Machines Journey Share Day! We had 13 student created machines throughout the school , each one incorporating a variety of simple machines in order to make one complex machine. Screws, levers and pulleys were all put together in a variety of ways creating original machines such as: Dollhouse LIft Up, Pop-A-Balloon 2000, The Ring-A-Bell 300, The War Fort, The Jobinator, The Extra Hand, and The World of Splat. 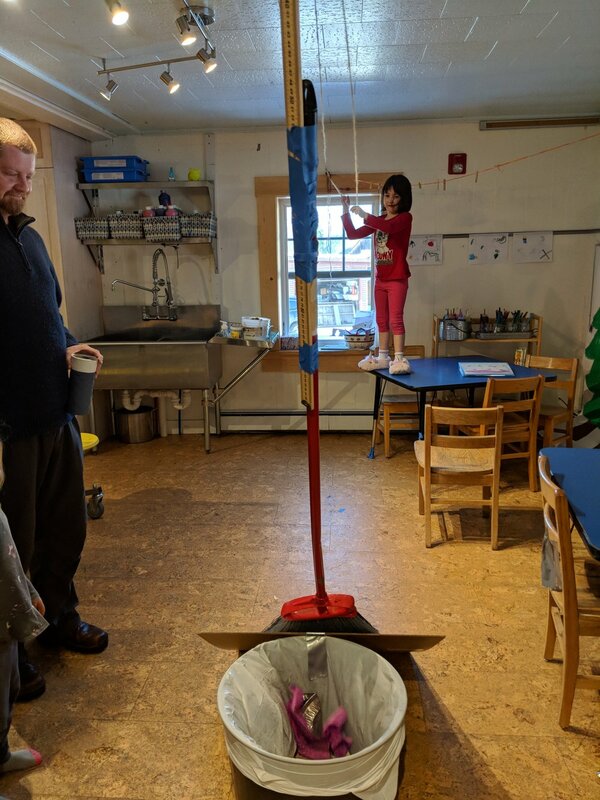 Additionally students saw a live show at the Catamount this week, enjoyed a morning of Open Gym at Evergreen gymnastics, played extensively outside, and did a great job pitching in as we wrapped up 2018 and cleaned out the school and all our cubbies.